This guest post appears as part of the latest round of the VivaF1 Blog Swap, and is written by Maverick from the host site itself. One group who currently seem to have no fear of being snowed under with Too Much Racing seems to be the French, with no sign of the return of the French Grand Prix and the motorsport industry in general, in the doldrums. That said, you could be forgiven for thinking that as long as they have 24 Heures du Mans, they’ll remain happy. Often considered the original Grand Prix, having first run in 1906, the French Grand Prix (or Grand Prix de l’ACF as it was) missed just one season of the Formula World Championship in 1955. That was, until 2009 when the race was cancelled with organisers citing economic reasons. Since that announcement at the end of the 2008 season, the French Grand Prix has shown little sign of returning regardless of the number of proposed locations, most notably at Flins-Les Mureaux where plans for a new circuit were eventually abandoned. Despite Magny-Cours recently expressing confidence that a series of improvements would see the race return in 2012, the already crowed calendar would seem to prevent that prospect for the foreseeable future. Meanwhile, the longer the race remains absent from the Formula One calendar, the less it can rely on playing the “historic race” card. It’s not only France’s international status that has fallen in to decline. In 2003 the French Formula Three series merged with its German counterpart to form the Formula Three Euroseries as entries dwindled. While the Signature and ART Grand Prix teams have produced a strong French showing in the series, its notable that the French only host a small proportion of the series and just one of this year’s nine meetings took place on French soil. So Le Mans remains strong but the Grand Prix has gone, meanwhile the third part of French motor racing’s triumvirate, the Pau Grand Prix has become a shadow of its former self. The Pau Grand Prix, the first race to carry the title “Grand Prix” back 1901 was for a period a non-championship F1 race before becoming the jewel in the crown of Formula 2 and then F3000. However, it has gradually lost its lustre in recent years before being suspended altogether this year. It remains to be seen whether the ambitious invitational event for F3 cars planned next year can revive this grand old lady of motorsport. It’s not only the motor racing though but the whole associated industry that appears to be in the doldrums. While there are sparks of optimism, notably Peugeot’s Le Mans exploits while ART Grand Prix has been a force to be reckoned with in GP2 and F3, the inflexible labour market has prevented teams from being competitive with outfits from other countries. 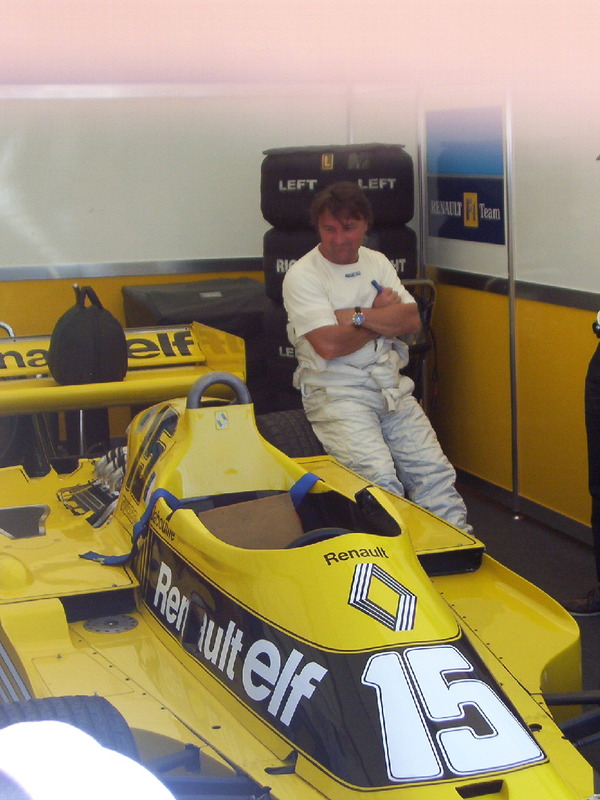 If you consider that Renault F1 is fundamentally an English team funded by the French (and now only partly so) then the last French Formula One team was Prost Grand Prix which folded at the beginning of 2002 with debts in the region of $30 million. Prior to that, AGS and Larrouse suffered similar fates while the DAMS F1 project got little further than building a chassis. The result of that has inevitably filtered down the feeding chain in the form of a lack of support for up and coming, home-grown talent. In recent years, Romain Grosjean, Sébastien Bourdais and Franck Montagny have quickly come and gone and the last French drivers to make a substantial run in F1 were Olivier Panis and Jean Alesi whose careers came to an end in 2004 and 2001 respectively. Perhaps, the few prospects for the future are this year’s British Formula Three Champion, Jean-Eric Vergne, who tested with Toro Rosso in the recent young drivers’ test, and Ferrari test driver Jules Bianchi. However, a few years ago the same would have been said about Grosjean. Unfortunately, the question is whether any of them can secure the necessary financial backing to fund their way to the top echelon of open-wheel racing in a climate of French motor sport apathy. Still, Le Mans carries on shouldering a nation’s motoring pride (alas, Peugeot’s self destruction spoilt the party this year) and while the French Grand Prix’s absence continues, that reliance will only strengthen in the hearts and minds of the French. Overall, it’s a sad state of affairs that the country that gave motorsport to the world finds itself in. The French created the Grand Prix and for the early decades of racing their blue cars dominated. Yet that appears to be part of the problem: A look at the racing calendar of French circuits sees classic car races predominant. In short, French motorsport gives the appearance of being content to dwell on the glories of the past with no plan for the future. French motorsport is doing well at Le Mans and in rallying, thank heavens for the Peugeot-Citroen group eh? They are many French independent sportscar teams who are great in their arena (usually fighting similar British and other independents) but they don’t stand a chance against Audi in a straight fight. ART and Signature are big in junior racing and they do a good job. I don’t think teams are a problem, per se. The driver situation seems far worse. You’ve got Loeb and Ogier in rallying, Panis, Sarrazin and Pagenaud in sportscars, Yvan Muller in touring cars.. and then what? Four of that six have been around for years and years now, where’s the next wave of French drivers? A tranche of ‘gentleman drivers’ in sportscar racing can’t really count, I’m looking for the professional drivers. The real ‘gap’ in French racers at the moment is in single seaters. There’s a rumour Pagenaud may be switching to IndyCar with his team, that’ll be great to see because he’s a fantastic talent. There are talents out there who can’t seem to find any money – Montagny and Bourdais are struggling to find rides. Grosjean has landed in GT1, which is a perfectly fine series but you have to think he expected to be elsewhere. All a real shame because French drivers should be as prolific as German and British drivers right across motorsport. France used to contribute so much and while they still contribute quite a lot compared to many other nations, it is just a fraction of what they used to have. I hope you don’t mind one of my pics being in there (I’ve not signed up to many official..things). Ithink the real problem is sponsorship. French drivers were not common until the 1970s. Then there were a series of programs most notably the Volant Elf and the Winfield School. These produced French drivers at an incredible rate and at one point in the 1980s there were 7 or 8 French drivers in F1 who were all sponsored by Elf. When Elf stopped backing drivers French drivers stopped progressing. Magny Cours is a dump and looks 10 times worse in real life as it does on TV. They need to find another track somewhere that they can build an industry round. It has to be closer to one of the major population centres. Paul Ricard was a good F1 track but there is no chance of that hosting an F1 race now. Dijon is the best track to have held a GP in many years but it is probably too short and wouldcost a fortune to upgrade. France needs to find someone running a major corporation who is prepared to back a track and some young drivers. How did I forget all about rallying? Oh well… anyway, still a sad state of affairs that I’ve been meaning to have a complain about for a while.